Every year we go down to the lakefront and grill out with friends and watch the fireworks for the 4th of July. This look would be perfect for lounging out by the water and waiting for steaks to grill. Yum! 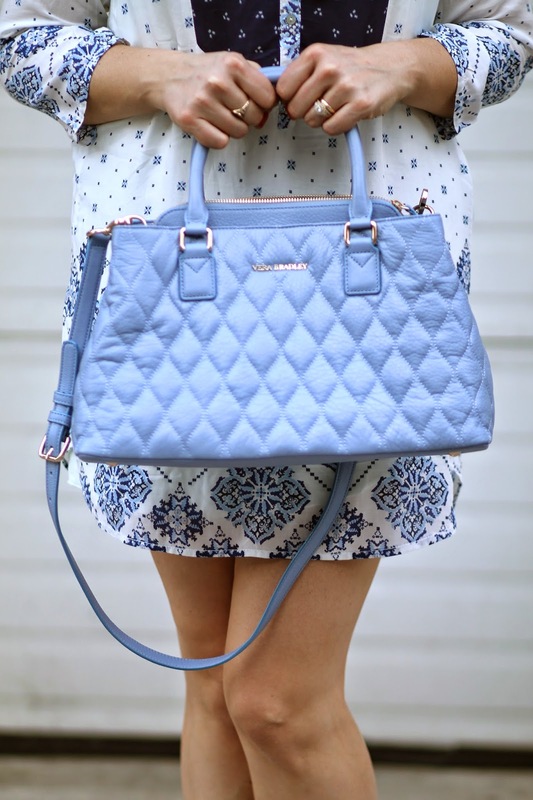 This new blue quilted satchel of mine is pretty gorgeous, right? It's part of the new Vera Bradley collection and is proving that they are really stepping up their handbag game. It's perfect for work, but also goes with a casual outfit like this. Hope you all have a fun 4th of July weekend! 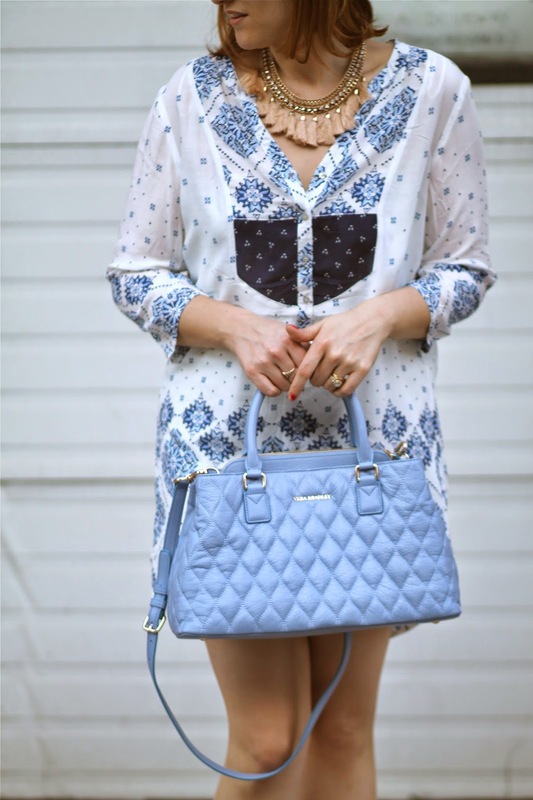 How brilliant and blue is this outfit? 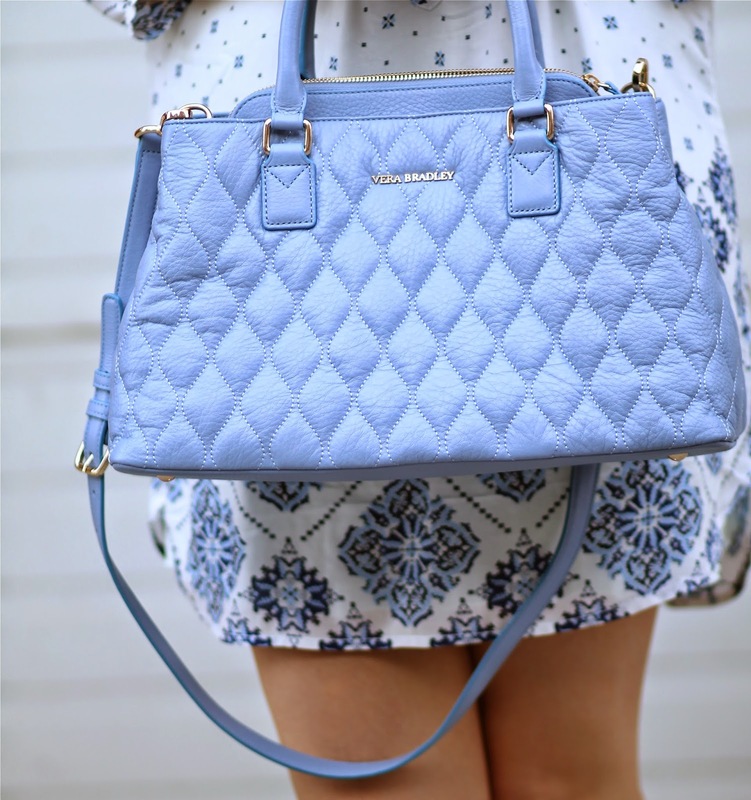 Vera Bradley has been seriously upping their bag game with these pastel leather totes. Sooooo fun! Love this. Amazing sandals. I’m a Chicago blogger too!